I thought my previous article was the last one under this headline, due to events which evolved on the Sunday of 2nd August 2015, I thought the above headline was still relevant in conceptualising the political brutality taking place in Burundi. Before I start this article, I would love to pass my sincere condolences to Jean Bosco Nshimirimana and the whole Nshimirimana family, for the loss of their loved one Gen. Adolph Nshimirimana. My sincere condolences go also to his friend Col. Bertin Gahungu, I hope you’re ready to take the helm and able to give those DMI agents a run for their money. After my last article, IKAZE IWACU received an argumentative reaction from Gen. Didier Nyambariza, but as usual I do not respond to reactionaries or haters of truth. In my last articles I informed IKAZE IWACU readers about a particular event. However, reactionaries wanted to educate me about Museveni’s political criminalities. I hope I know Museveni very well!! Part 2 of my article was about a political event, not about Museveni’s political bibliography. In 1997, when Leonard Nyangoma was asked about the RPF-RPA, he lamented that, “this was an extremist organisation bent to finish Hutus in the region, they are in Congo killing and in Burundi we are always engaging them in the battle field.” These politicians, who were great critics of these respective political parties, are now their political allies. In politics there are no permanent enemies; politics is about personal interests, elitist fighting each other for a part in the national cakes thus bringing the unsuspecting general masses in the fury. If anyone thinks that either Rwanda’s mad King or Burundi’s naive ruler are fighting for their interests, then you need to visit a psychological ward. On Gen. Didier Nyambariza, those who studied at Antenee secondary school in the 1980s or those who grew up in quartier INSS are able to describe him better than me. After his secondary school, Didier joined the Burundian military through cadet entry at ESCAM. At the rank of a captain he deserted FAB due to indiscipline, joined CNDP of Laurent Nkunda and after the integration of CNDP into the Congolese military; he joined the FNL of Agathon Rwasa. When FNL forces were integrated into the Burundian national army; Didier Nyambariza was also integrated in the army at the rank of Colonel. He asked to be demobilised from the security services giving reasons of being a born again Christian, thus becoming pastor Didier Nyambariza. In the process he became a diligent bible preacher and an evangelist; who used to preach in English at the amusement of church goers, who enjoyed a con-man’s preaching. When the M23 rebellion started, Pastor Didier Nyambariza re-surfaced in Congo within the M23 ranks and files. After the M23 defeat, he established a military base in Southern Congo. Didier Nyambariza is a rich man due to Congo mineral trades. He owns properties both in Kigali and Kampala. The mineral trade has taken him to the heart of Village Urugwiro. We all know that where there is cash, the Kagames are there. Didier is fluent in both French and English, he learnt his English during his military marine course in Greece. Being an Anglophone was an added advantage within the RPF/RDF ideologists. Now Colonel Didier is addressing himself as a General, who gave him that rank? Who promoted him? For IKAZE IWACU readers, especially Rwandans, they will ignorantly claim that within FNL-Palipehutu there were no Tutsis, Didier Nyambariza is one of the many Tutsis who were in FNL ranks. He is 100% Tutsi from a middle class family; his father was a prominent professor at the University of Burundi. Politics in Burundi is more of regionalism than ethnical. About Pastor or General Didier, depending on how you want to address him; you the readers can have your own opinion about him. To me, he is one of criminal Paul Kagame’s mercenary. The main purpose of writing this article was mainly to look at the death of Gen Adolf Nshimirimana at the hands of criminal Paul Kagame. Just last month, under this same headline, I noted at how the Kagame family loathed Gen Adolph Nshimirimana. As usual, we were rebuked by Intore militia sensationalists, who hate truth to come out. Since July of last year, here on IKAZE IWACU, we wrote different articles informing our readers about young Tutsi youths from Burundi being trained in different military camps in Rwanda. As usual, Intore reactionaries jumped up with delusional denials and sarcasm. By December of last year truth prevailed when criminal Paul Kagame’s trained and sponsored rebel attacked Cibitoke and Bubanza provinces in Burundi. I have no single doubt in my mind; Gen Adolphe Nshimirimana was assassinated at the orders of Rwanda’s Mad King. As usual, after a high level assassination by criminal Paul, his terrorist DMI outfit through Kagame’s tabloids will always spread a fabricated and concocted story about the killing/assassination. For example after the assassination of Col Theoneste Lizinde, Rwanda’s tabloids pointed a finger at former MRND supporters. After the assassination of Seth Sendashonga, Kagame’s tabloids pointed their fingers at car robbers in Nairobi. After the assassination of Laurent Desire Kabila, Paul Kagame’s tabloids pointed a finger to Mubutists. After the assassination of Col. Patrick Karegeya, Kagame’s tabloid pointed at Jean Christophe Matata’s supporters for his death. 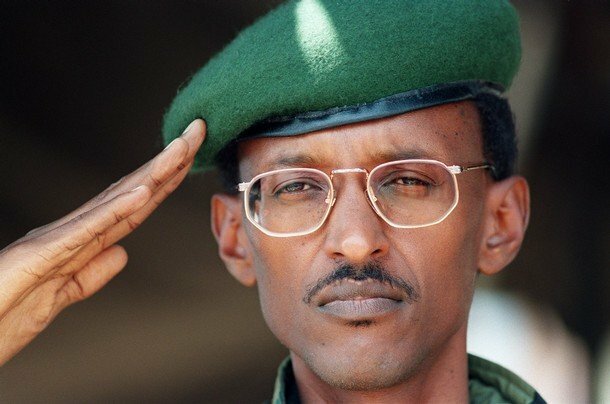 After the assassination of Col. Mamadou Ndala, Kagame’s tabloids pointed their finger at ADF rebels……the list is endless. This time around, criminal Paul Kagame’s tabloids under the instruction of DMI came up with the most ridiculed time event on how General Adolphe Nshimirimana was assassinated. In their lying and deluded misinformation, they fed Rwandan consumers a notion that, Gen Adolphe was shot in a meeting which was held on the night of 1st August 2015 at the presidential palace in Burundi.There was a heated argument between Adolphe, Peter Nkurunziza and other generals; Adolphe was shot in the head by a deranged general during the ensuing argument. The shooting on the 2nd of August was a mere stage management by Nkurunziza and his co, as Gen Adolphe Nshimirimana was killed the previous night. All Kagame’s tabloids carried out this toddler’s story on their front covers. Different and reliable information from Burundi indicate otherwise. General Adolphe Nshimirimana was shot while coming from his well known concubine who lived in Carama. The house of his concubine is situated at the border between Kinama and Kamenge districts. This was where he spent his previous night of 1st August 2015. On 2nd of August 2015 at around 8:30 AM; he was assassinated while coming from his concubine’s house where he had spent his night. General Adolphe Nshimirimana’s power in Burundi can not be equalled to that of Jack Nziza in Rwanda. The man had extra-ordinary influential power than that which Jack Nziza enjoys in Rwanda. 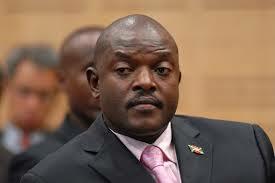 He was the PRESIDENT OF THE REPUBLIC OF BURUNDI. He was de facto minister of defence, Chief of defence Staff, the Inspector general of police, the Chief of the National Intelligence services, the head of the presidential guard, the appointing figure and the main financer of CNDD-FDD. Around 80 % of the presidential guards were appointed by Adolph, the main media adviser to the president, Willy Nyamitwe and the current minister of defence were recruited by Adolphe Nshimirimana. He had ears and eyes around Peter Nkurunziza, it would be totally impossible for Peter Nkurunziza and co, to plan and execute his assassination without him knowing or having a hint. His assassination was externally planned and logistically supported by an external state, in this case, Rwanda. This was not MUCHEZO WA NDANI, NI MUCHEZO WA INJE. As noted above, just last month under this headline, I underlined why the Kagames wanted Gen Adolphe Nshimirimana dead. 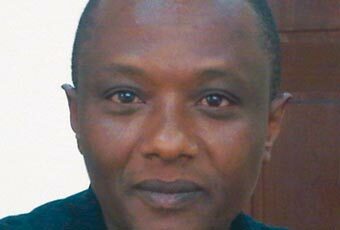 In the last few weeks, IKAZE IWACU profoundly informed its readers at how Lt. Col Francis Gakwerere was appointed by criminal Paul Kagame to be the head and director of DMI operations in Burundi. 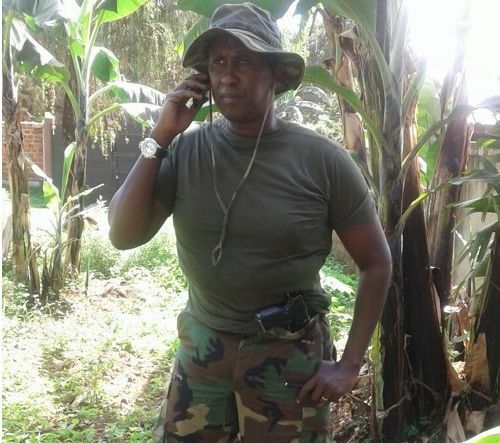 Last year, under different articles, I wrote about Lt. Col. Francis Gakwerere’s numerous intelligence gathering and collection trips to Burundi. When Paul Kagame appoints this character, know that deaths will follow. He is totally a top ruthless assassin with high profile assassinations under his belt, such as that of Gen James Kazini, Gen Noble Mayombo, Laurent Desire Kabila, Col Patrick Karegeya etc……and now Gen Adolphe Nshimirimana has been added to his meticulous assassinated list. The manner of how the operation was carried out also points a finger at DMI’s master piece. For years, DMI operatives have been using the MOSSAD concept in their covert operations. Those who studied military intelligence, especially in Israel or America will be familiar with operation module known as the SNAKE concept or known as head targeting/ brain targeting/shock and awe. In this case a snake is any particular organisation, grouping or regime. The Snake concept derives from the natural fact that, when you want to kill a snake one ought to hit at the head. With this concept, the head or figure heads of an organisation are considered as the real capability of that organisation despite other factors. Once the figure head of an organisation is removed, then the organisation crumbles and collapses due to internal shocks; such as power struggles, lose of confidence and morale, divisions, disintegrations, capacity degrading etc….. This concept is widely used by the Israel intelligence to disorganise, degrade and dismantle its adversaries; the assassination of top Iranian scientists especially those involved in chemical weaponry is a show case. In the 1990s, Rwanda Patriotic Front/DMI used this concept in disorganising opposition parties in Kigali through assassinating of respective and charismatic leaders such as Gapyisi Emmanuel, GatabiziFelicien, Bucyana Martin, Juvenal Habyarimana and Gen Deogratias Nsabimana. They have and still using this concept against FDLR, RNC, journalists and different figures within the NGO. The RPF-RPA elements mastered this intelligence operational concept while fighting under the NRA in Uganda. For example, after the assassination of General David Oyite Ojok, the UNLA government of Dr. Milton Obote started facing drastic military set-backs in the battle field. The nature of the operation, this was a high level assassination, there is three important lines which are tremendously essential in this DMI assassination game. The line of intelligence gathering on the target, use of financial resources and the precision of operatives. 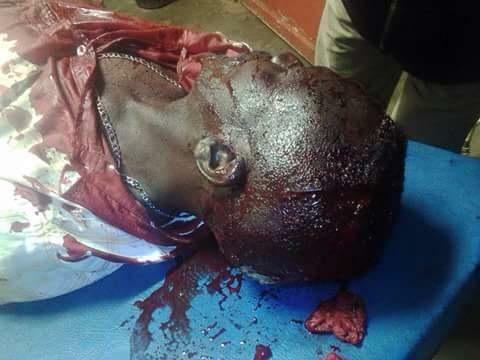 The killers of General Adolphe Nshimirimana did not just wake up and decide to carry out the assassination. There must have been a meticulous planning based on collective intelligence gathering which is carried out by highly trained or seasoned operatives. Under DMI’s operational directives, resources are at their forefront. DMI achieves all their criminal targets of kidnappings and assassinations through the use of enormous financial resources muscle. This assassination has the whole mark of a spectacular financial resource. Gen Adolphe Nshimirimana’s car was hit by 2 Rocket Propelled Grenade antitank projectors launched from AK-47 rifles, followed by showering his car with a barrage of bullets. Information from the ground also indicates that the bullet cartridges found after the assassination are from a 12.7mm assault rifle. Since 2004, the 12.7mm rifle became the official rifles used by Rwanda’s presidential guards, Special Forces and DMI; as they phased out A.K 47 from these special brigades. Of recently, Rwanda’s presidential brigade and DMI operatives have been acquiring modified 12.7mm pistols which can be manned with a silencer. The type and choice of weapons used in this assassination points at DMI operation techniques and weaponry. 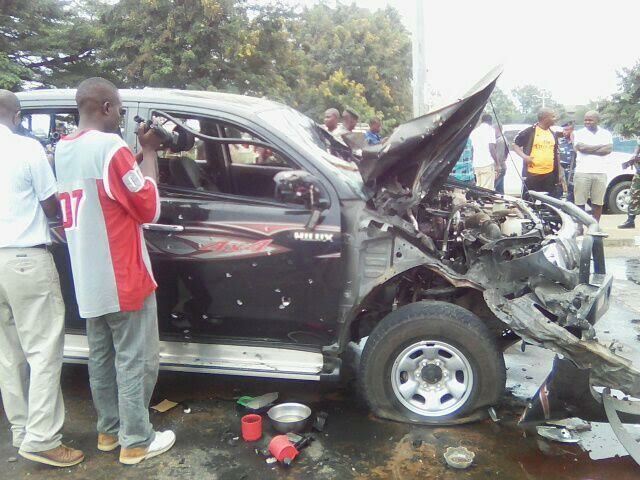 Those who assassinated Gen Adolphe Nshimirimana were sat behind on a military style Toyota Hilux Pick Up. The assassin’s car over took Gen Adolphe Nshimirimana’s car, shooting his car with all the military arsenals at their disposal. The assassin’s car did not stop; it was a drive by shooting, with military precision and intelligence gathering which identified the target to be inside the car. The shooting of a moving car while seated on the back of a pickup track needs enormous training; especially when considering that the shooters also used an RPG – 2 models in their assassination. These shooting skills are always trained to DMI and Special Forces hit squads at Nasho Military School in Rwanda. All the above factors combined with high level secrecy used, points at uncountable evidence that the assassination was planned on a foreign soil and supported by a foreign state, in this case, Rwanda. After a week of investigation, Burundi’s public prosecutor Valentin Bagorikunda, came out with one of the bizarre findings into the assassination of Gen. Adolphe Nshimirimana. The public prosecutor’s statement reflects findings and directives from Burundi’s naive ruler. For a week, Burundi’s security services have been rounding up former demonstrators and low level trouble makers to present as assassins of Gen Adolphe Nshimirimana. According to information coming from Kigali, the real assassins and their enablers are already in Kigali through Gatumba border crossing to Uvira – Congo, then travelling to Bukavu and later crossing to Cyangugu-Rwanda. All sober minded Burundians even those in the Burundian intelligence services know very well that the enablers of the assassination were helped by elements at 24 Avenue de la Republique Democratique du Congo, Bujumbura Burundi. Now it’s a guess in every one’s mind, as to why Burundi’s naive ruler decided to go after petty criminals than the real assassins!!! Why is Burundi’s naive ruler refusing to name the real perpetrators of the assassination? Why can’t he name Rwanda’s mad king as an individual behind all the troubles blazing his country? Especially when everyone knows that Burundi has enormous evidence which implicate Rwanda to the ongoing troubles in Country. His naivety will soon send him to his graves at the hands of Rwanda’s mad king; DMI team led by Lt Col. Gakwerere is slowly but surely encroaching on him. The future will be totally fascinating, a regional war is looming and soon it will break up. As for me, I am ready for this last war, a mother of all wars, the war against Rwanda’s mad King and truth will totally prevail.